Youth Olympic medallist Dune Coetzee will spearhead Team SA at the 2018 Africa Union Sport Council Region V Games in Gaborone, Botswana. The 16-year-old was also selected to be South Africa’s flag-bearer during the Games opening ceremony on Friday. 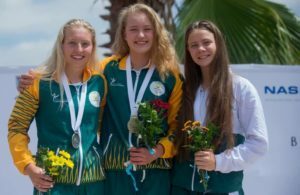 Coetzee made it clear that she won’t be racing for the fastest times, but will put to practise all the lessons she took from her participation at the Youth Olympic Games and the Gold Coast Commonwealth Games. Contesting in nine events, Coetzee is focused on improving her performance. ‘I need to work on my start as well as my turns during races. The long and the short of it all is that I can’t afford to take things easy at the moment, because if I do it will jeopardise me from reaching the goals I set myself for next year,’ said Coetzee. 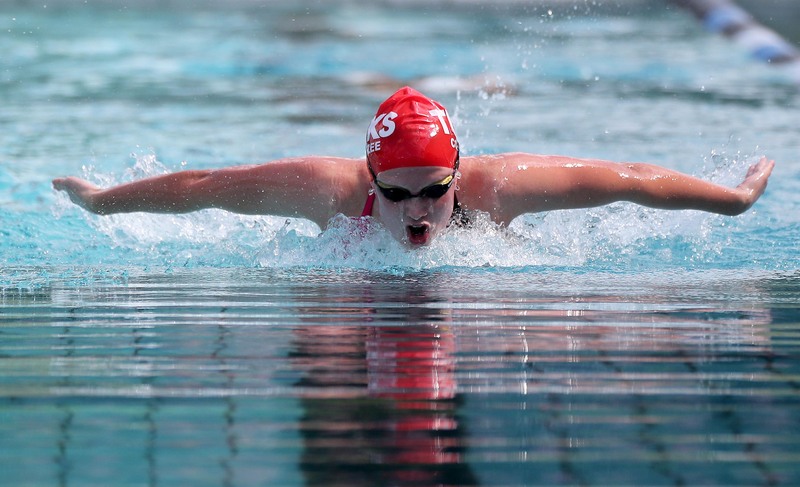 From Saturday the swimmer will be competing in the 50m, 100m, 200m and 400m freestyle events, as well as the 50m, 100m and 200m butterfly events, the 100m backstroke and the 200m individual medley. Meanwhile, the South African national flag was raised on Thursday morning to welcome Team SA to the athletics village at the University of Botswana. Unfortunately, upon arrival the team were faced with logistical issues when their accommodation wasn’t ready. Team SA is accommodated at the University. Some of the allocated rooms weren’t available, as the students had not yet vacated their rooms. The management team was said to be doing their best to resolve the situation. SASCOC President Mr Gideon Sam was in touch with the SA High Commission in Botswana to intervene should the matter not have been resolved by lunchtime on Thursday. To kick-start the Games, football, judo and tennis open on Thursday. Team SA comprises 220 athletes from nine sporting codes, namely athletics (including the visually impaired category), basketball, boxing, football, judo, netball, swimming, tennis and volleyball, with the bulk of the squad coming from athletics, football, netball and swimming. Team SA have in previous years dominated these U20 Games between the Region 5 countries, which include Zambia, Zimbabwe, Malawi, South Africa, Angola, Botswana, Namibia, Mozambique, Lesotho and Swaziland. 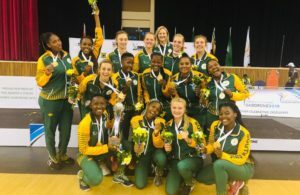 At the last Games held in Angola 2016, Team SA did extremely well by retaining the first position on the medal table, bringing home a total of 123 medals.